Full coverage with flawless matte finish. Conceals all imperfections & doubles as a contour/highlight product. Meet our iconic, "can't live without" concealer & discover why one is sold every 12 seconds*! This vegan, super-blendable formula instantly helps brighten, smooth & give the skin a firmer, more lifted look. 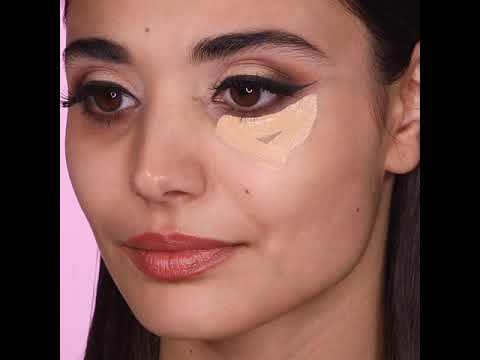 Shape Tape Contour Concealer is rated 4.7 out of 5 by 95. Rated 3 out of 5 by Suzie from Does not live up to the hype To be honest I bought it because of the hype. It's very full coverage but a bit drying under the eyes. And it can easily cake the makeup on if you're not careful and putting it too much. I still use it but I don't think I will repurchase it again when I run out. Rated 5 out of 5 by Fatima101 from Best invention ever! This concealer has just been introduced to Sephora a couple of months ago! I used to buy it from tarte online ! It’s AMAZING , full cover no need for foundation! I only use this for my daily make up! A small amount of it is enough. However, I highly recommend you use loose powder with it to avoid getting lines under your eyes or around your lips. Rated 5 out of 5 by Sudu from Just amazing n seamless coverage! This sits just like second skin! That explains all the hype around it! Rated 5 out of 5 by sarosena from HOLLYGRAIL CONCEALER I don’t know what kind of magic is in that bottle but it fully cover my dark as a night under eyes, stays all day and looks natural. If I could I’ll wear it everyday but it’s not really an everyday concealer. Unless, you’re about that life babe then you do you. Rated 5 out of 5 by lavanya from Love It! Love! Love! Love! this concealer. Its just perfect.